When you think of a sports league, there will be a few things that come to your mind immediately. Likely some of the best players, or in this case, one of the best rivalries. 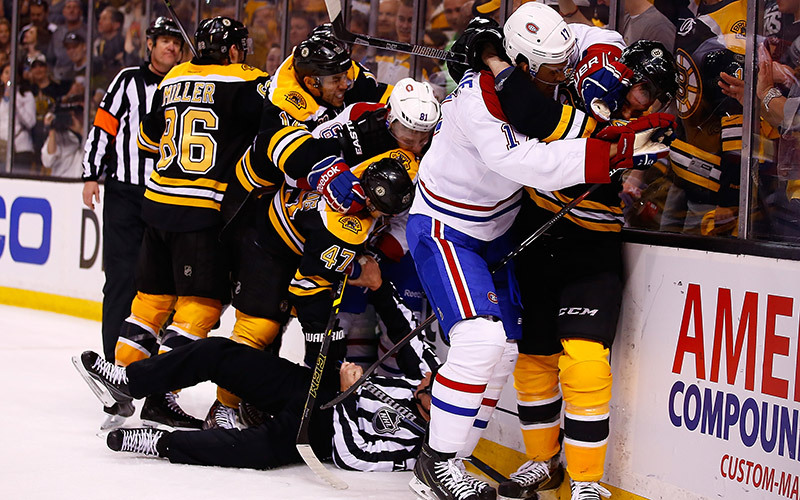 Boston and Montreal echo a lot of things about the National Hockey League. It demonstrates passion, hatred, togetherness, and most of all a deep history. This rivalry has everything. Seven game playoff series, game-winning overtime goals, line brawls and even death threats (Sorry Lucic, this one won’t go away). Tonight, we renew one of the best rivalries in sports, and get to see Boston and Montreal take the ice at the Bell Centre for the Canadiens’ home opener. This will be the Canadiens and Bruins first meeting since Montreal knocked out Boston in the Eastern Conference Semi-Finals last spring. Boston is looking for some revenge while Montreal is looking to continue playing to their strengths and frustrating the Bruins. After the pre-game skate, Subban spoke to the media and said “we’ve had success as a team when we focus on what we can control, and that’s how we play. Not so much worrying about the other teams personnel and who they have out there but making sure that everyone does their job and holding everyone accountable.” Accountability has been a strong theme for the Canadiens since Michel Therrien began coaching the team and Marc Bergevin began managing it. Montreal is off to a hot start beginning the year with three wins and one loss, while Boston looks to rebound after a tough start with two wins and three losses. As a Canadiens fan, I’ve grown up in a household where hockey is much like a religion. We practice it by reading articles about it everyday, and watching the games at night. You don’t even question anything else. Game day is game day and you don’t miss a game. As the Canadiens’ dressing room has said, “No excuses”. That’s what Canadiens hockey is to me. Its that feeling you get when you see the boys exit from the tunnel and hit their first stride on the ice. When Michel Lacroix comes over the PA and passionately tells the crowd to “welcome your Canadiens”. These are the types of things Canadiens fans live for. The sense of unity and solidarity between fans is something that no one else can ever understand and thats one of the best feelings about being a Canadiens fan. Its indescribable the passion that the fans show for the most storied franchise in hockey. So what does the Bruins-Habs rivalry mean to me you might ask? Any time the Habs play the Bruins, its like Christmas. And by Christmas, I mean that it’s tough to sleep the night before because of the anticipation of the two teams battling the next night. The goosebumps that I get all over my body when the teams step on the ice for warm up and the DJ begins playing the warm up tracks. There’s just nothing like it and nothing can ever take that away from me. No matter what, at least four times a year, the Habs are going to battle the Bruins regardless of what else is happening in life. And that my friends, is what true happiness is.